Looking for helpful strategies that drive timely, cost-effective project completion without overworking your team? One of the most popular project management methodologies that achieves those goals is critical chain project management (CCPM). Companies like Mazda, Texas Instruments, and Lucent Technologies are implementing critical chain project management. Why? The answer is simple: The approach helps project managers organize tasks and resources to achieve the most efficient path to project completion, every time. Before adopting the critical chain methodology, read our guide to ensure you understand the basics of this methodology. Critical chain project management helps you identify both resource and task dependencies to help you complete projects as efficiently as possible. The most time-consuming string of tasks that must be completed in serial will determine how quickly you can complete your project. In the diagram, those are the tasks that are colored in coral. By identifying this string, you’ve just found the critical path to project completion. Looking back at this list, you know you’ll need a product manager to write the specs for the new feature, but he’s out on vacation for the next month, so that will affect the project timeline. The copy writers will need to write tutorials and write a press release, so it's important that you build in time to make sure they don't have to multi-task. You’ll need a big meeting room to hold the kickoff meeting, but it’s only available on Fridays every other week. Once you look at resource availability, you can be more precise when you determine deadlines for each task. So to sum it all up–what's the difference between critical chain and critical path methodology? Focus on finding the string of tasks that would take the longest time to complete, and organize the other project tasks around it. Of the two, critical path is the less flexible option, so it's better used for clearly-defined projects with few stakeholders. Critical chain is a more flexible modification of critical path method that helps prevent inefficiencies such as task switching (where switching tasks can be less efficient than focusing on one task at a time), Parkinson’s Law (tasks expand to fill the time they have been allotted) and student syndrome (where employees wait until the last minute to start a task). Before you can get started, you need to identify the most important tasks, as well as the tasks that will take the longest to complete. These tasks will become your critical path. 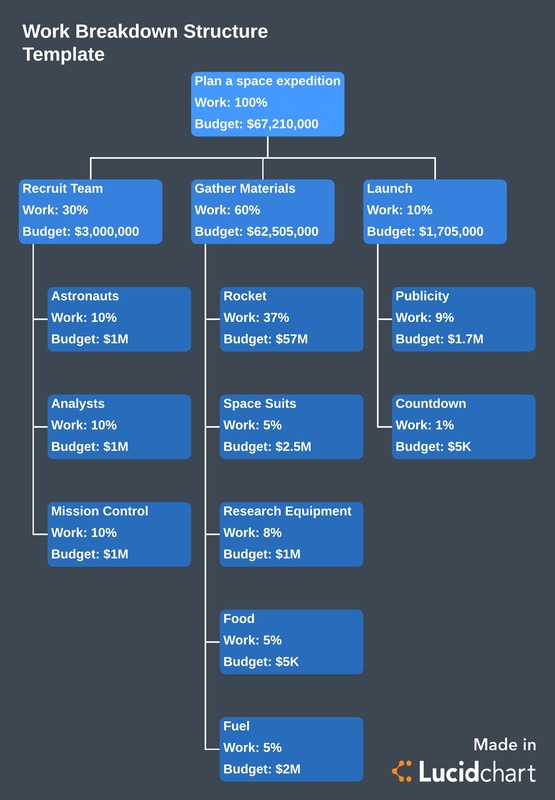 To help you identify your critical path, we recommend creating a work breakdown structure. This structure breaks down large projects into smaller, more manageable pieces. In CCPM, a work breakdown structure can help you determine where you will need the most resources. Additionally, it will show which tasks are going to take the most time. For a successful CCPM process, begin your project with the most important tasks first and then work in descending order. Critical chain project management focuses on resources—so consider any constraints you might experience as you assign employees to tasks. For example, you’ve set aside 10 days for Tom to design your new website, but Tom is going on vacation for seven days during the allotted time. This is considered a resource constraint. To keep the project on track, you schedule Jane to work on the design in Tom’s absence. By identifying resource constraints early in the process, you avoid any downtime or delays. In critical chain methodology, it’s important to keep your team focused on individual tasks as the practice will lead to more productive, harmonious, collaborative, and innovative behaviors. All these factors contribute to timely task completion and efficiency. When employees switch between different tasks, productivity drops and task durations increase. And, ultimately, team morale decreases as your team members try to keep the project moving forward. The critical chain project management process keeps employees focused on fewer items at time, which allows teams to execute projects faster. For successful CCPM, you want to ensure your team has enough on their plate to stay focused, but not enough that they will have to multitask in order to get things done. Sometimes employees procrastinate, waiting until the last possible moment to start or even stretching out a task to fill time. By cutting the time needed for a task in half, you create a sense of urgency in your team. This practice will push them to stay focused and finish their tasks on time. After you cut the estimated time needed by 50%, that 50% is then used as a buffer. It acts as a shock absorber for the project should a task take longer than anticipated to complete. One study showed that implementing project buffers with the CCPM process leads to employees finishing projects 25% faster. If you’re using critical chain methodology, you’re likely taking on a large, complicated project. To ensure timely project completion, create a detailed project model that your entire team can use. The model allows your team to see how well the project is progressing. The project model should include time estimates, task descriptions, assigned resources, time buffers, and finish dates. To help you create a successful CCPM model, take a look at this article that discusses everything you need to know about creating project management diagrams. Additionally, it shows which diagrams you can use to create a CCPM model. We’d recommend staying away from a Gantt chart. Instead, you can use a project network diagram, cross-functional flowchart, or a timeline. Why implement critical chain project management? Organizations that adopt CCPM experience much more timely project completion. By focusing on the resources needed to complete a project, project managers create a process that is simple and easy to manage. Critical chain project management allows a team to see the entire project lifecycle. Most importantly, it helps them see how their efforts move the project forward.